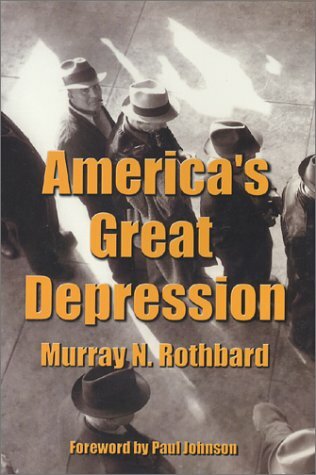 Murray N. Rothbard's America's Great Depression is a staple of modern economic literature and crucial for understanding a pivotal event in American and world history. Since it first appeared in 1963, it has been the definitive treatment of the causes of the depression. The book remains canonical today because the debate is still very alive. The Financial Crisis Inquiry Commission examines the causes of the current financial and economic crisis in the United States. In this report, the Commission presents the results of its examination and its conclusions as to the causes of the crisis. This is ultimate manual for completely de-mystifying the myth of the state. The book will inoculate the reader against the even the slightest temptation to invoke the state as a solution to any social or economic problem. Gets to the heart of the matter regarding the application of economics to politics. Either we let economic law run its course, or we destroy prosperity. We must defer to economic law or we make matters worse by attempting to control society. Reisman's ringing manifesto for laissez-faire capitalism free of all government intervention is at once a conservative polemic and a monumental treatise, brimming with original theories, remarkable for its depth, scope and rigorous argument.